What stories will future generations tell about you? Recently I went through and cleared a load of my old possessions out of my parents loft and it got me thinking. Amongst all the possessions that I no longer needed were lots of old photographs of relatives who have unfortunately long since left us and because of these printed photographs, I know what my relatives looked like at the various stages of their lives. I wonder what future generations will have to remember us by? What stories will future generations tell about you? In this modern age where we almost all have a camera on the back of our smart phones and it is so easy to capture a moment as it happens, when was the last time you printed out one of those images? Sure like me you probably put the occasional one up on Facebook/Twitter/Instagram etc but soon they get lost, lost in the digital world we currently live in and the thousands of posts that we and our friends make on a regular basis. I wonder, in years to come will my family have access to those images? Will they have my iCloud password? Will they think to go back through my social media posts, or will those images and moments be lost for ever? What happens if tomorrow the technology dies and everything crashes? Will future generations wonder what I looked like and what stories will children, grandchildren and beyond be able to tell? In my case, the future generations will have images of me to look back on. Proudly displayed above the sofa at home is a large print of Caroline and I on our wedding day, I have portraits dotted around the house from various moments in my life. Portraits of my graduation, with friends, family, from my wedding day and even with beloved pets who have unfortunately since passed on. However, I remember what they look like and I remember those moments because they are there, printed and mounted on the walls for the future generations to tell stories about. If this article has got you thinking, I’d love to hear your thoughts. Please share it on social media and leave a comment to join in the discussion. Oh and the photo above? 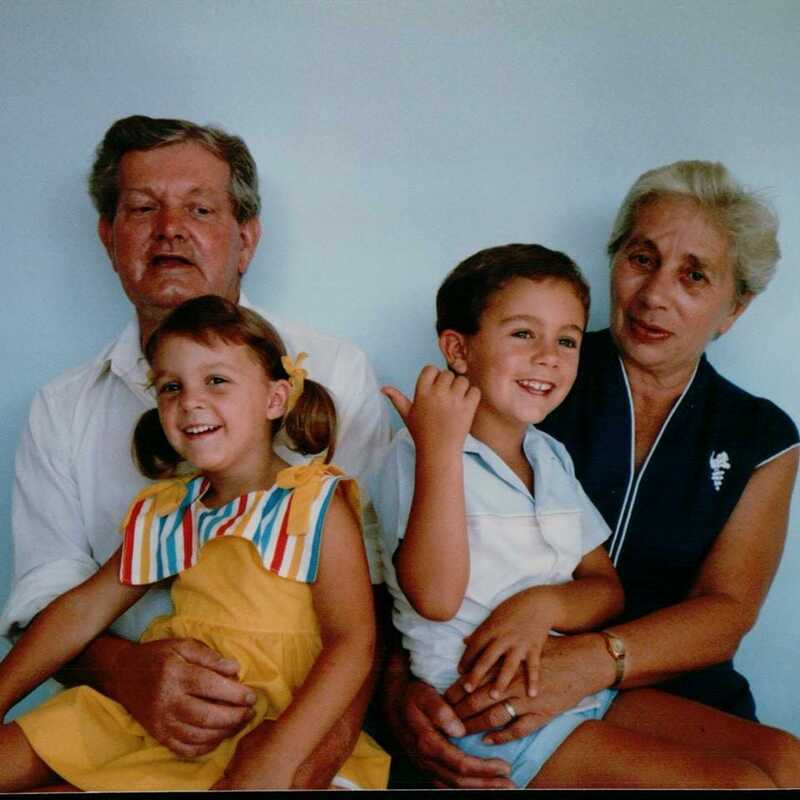 That’s my sister and me with our grandparents… at least I had hair then.